VS-Games 2013, the fifth outing of the International Conference on Games and Virtual Worlds for Serious Applications will be hosted at Bournemouth University, UK between the 11th and the 13th of September 2013. With the conference organized in previous years at locations such as Coventry (UK), Braga (Portugal), Athens (Greece) and Genoa (Italy), it will take place, for 2013, at the state of the art Kimmeridge House building of Bournemouth University, situated at the main Talbot campus of the institution. These are the camera-ready dates for the VS Games 2013 conference, all authors need to follow instructions sent to them by email to submit the final version of their paper, they also need to complete the registration payment by this date. This is very important in order to ensure that their paper is included in the conference proceedings and in the IEEE Xplore Digital Library. 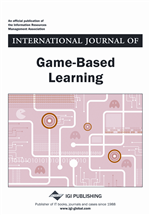 The authors of the best papers will be invited to write an extended version for inclusion in the Elsevier Entertainment Computing journal (subject to additional review) and IGI Global's International Journal of Game-Based Learning. Authors of selected technical articles with a focus on computer graphics will be invited to submit extended versions of their works to be considered for publication in Elsevier's Computers and Graphics Journal. All accepted VS Games 2013 papers, full, short and posters, plus workshop ones, will be included in the IEEE Xplore Digital Library after the completion of the event. The conference is technically co-sponsored by the IEEE Computer Society.